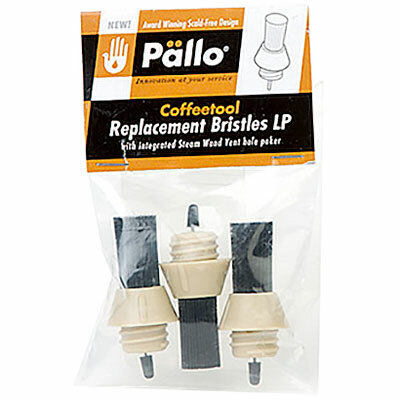 Pallo CleaningTool brush replacement heads for the Pallo Cleaning Tool. Comes in a pack of three. 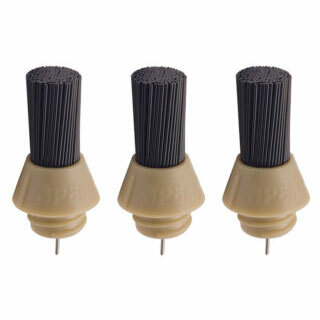 Durable, heat-resistant replaceable bristles- the bristle part unscrews from the handle, making it more cost effective to just replace the bristles which are available separately. Steel steam wand vent poker for cleaning and de-clogging the steam wand.